Many nursing home residents are unable to move to a different area of the home by themselves. Oftentimes this means that they are reliant on nursing home staff members to help them get from place to place. While many people may suggest that a wheelchair might improve mobility, getting out of bed and into a wheelchair is an important step that requires assistance. Even though there are protocols in place on how to transfer a patient from one location to another safely, these procedures are oftentimes ignored because the staff member is in a rush, inexperienced, or negligent. This may result in dropped patients, which can lead to serious health complications. Contact the Nursing Home Law Center today, to discuss your legal rights and options regarding injuries or death related to a patient dropped by nursing home staff. Remember that one out of three elderly fall every year and falls are the leading cause of deaths amongst patients over the age of 65. Perhaps more surprising is that patients’ in nursing homes are more susceptible to falls than those living on their own. What is the Reason Behind Dropped Patients? 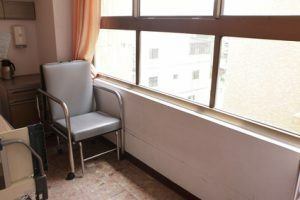 Oftentimes the reason behind dropped patients is not necessarily nursing home abuse, but because of staff members not following protocol or staff members using bad judgment. Remember that many nursing homes are trying to cut corners by providing less than adequate staff training, being critically understaffed, and not having the right type of equipment to help its patients. If you know someone who was dropped at a nursing home, it is important to remember that poor judgment or brief moments of inattention are not excuses for potentially serious injury. Remember that ‘it was an unavoidable mistake’ is not good enough when it comes to dropped patients incidents. Taking legal action is not just about ‘being right’ or receiving compensation, it is about ensuring that a change is made in the future to avoid these problems for happening altogether. Any nursing home or hospital patient who suffered an injury while being transferred or carried by nursing home staff has a right to recover damages for their injuries. Nursing Home Law Center LLC has prosecuted nursing home negligence lawsuits for patients seriously injured when they were dropped by nursing home staff. Some of our cases include: fractures, lacerations and subdural hematoma (brain bleed). Regardless of the extent of the injury, we will carefully examine your particular circumstance and determine the best avenue for you to pursue. Call us anytime. (800) 926-7565.